The United Chamber of Commerce welcomed the British Beer Company (BBC) with a ribbon cutting ceremony this week. 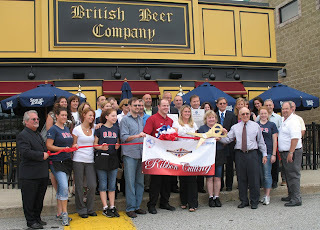 The British Beer Company opened in January in the former Applebee's location at the Franklin Village Mall. It is a very popular place with waits up to 90 minutes on Friday's nights.